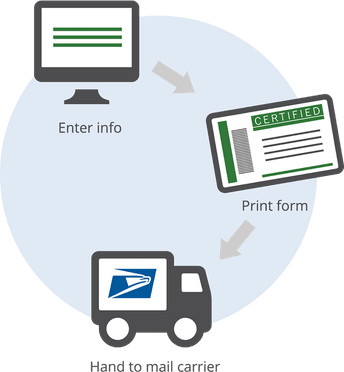 Prepare and send Certified Mail in seconds. We know. We know. 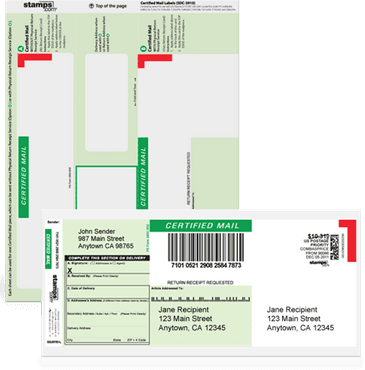 Certified Mail can be a time-consuming pain. Nobody wants to fill out those cumbersome forms. Nobody wants to make trips to the Post Office. Thankfully, Stamps.com takes the hassle out of Certified Mail. With Stamps.com you can buy postage for Certified Mail and Return Receipt using forms from the Post Office. Or, if you want to save even more time we have built-in Certified Mail forms* – no handwriting required! Stamps.com imports addresses from any address book (Quickbooks, Outlook, etc) or you can type them in manually. 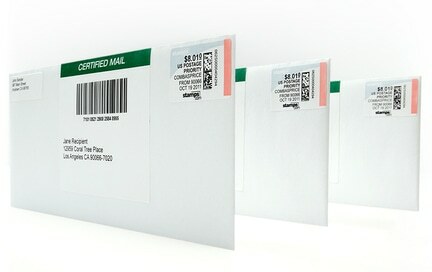 Stamps.com prints all the necessary information on our built-in Certified Mail forms. Your mail carrier picks it up. Stamps.com stores all the info including Certified Mail number and certified delivery date in an easily accessible and searchable database.